Text messaging is simple, concise and compatible with virtually every mobile device, operating system and wireless carrier, making it very appealing to financial advisors and their customers. However, if used for business communications, texts can create tremendous risk. Less than a third of financial firms have a text supervision solution in place according to the Smarsh 2016 Electronic Communications Compliance Survey, the largest compliance gap facing financial firms today. 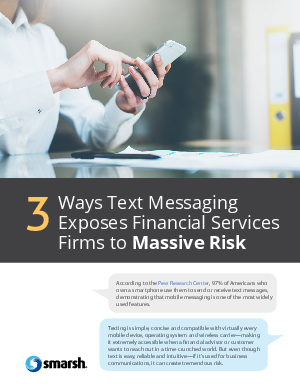 Text messaging can’t be ignored by firms any longer.